ZZ Top is an American rock band formed in 1969 in Houston, Texas. The band has, since 1970, consisted of bassist and lead vocalist Dusty Hill, guitarist and lead vocalist Billy Gibbons (the band's leader, main lyricist and musical arranger), and drummer Frank Beard. "As genuine roots musicians, they have few peers", according to former musician, critic and collector Michael "Cub" Koda. "Gibbons is one of America's finest blues guitarists working in the arena rock idiom [...] while Hill and Beard provide the ultimate rhythm section support." 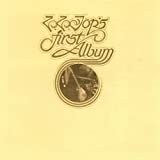 The band released its first album—called ZZ Top's First Album—in 1971. Beginning with blues-inspired rock, the band incorporated new wave, punk rock and dance-rock by using synthesizers. The band is also known for its humorous lyrics laced with double entendres and innuendo. The band's top-selling album is the 1983 Eliminator, which sold more than 10 million copies in the United States. Total record sales of 25 million place ZZ Top among the top-100-selling artists in the United States, according to the Recording Industry Association of America. That includes 11 gold, seven platinum and three multi-platinum records as of 2016, according to the RIAA. By 2014, ZZ Top had sold more than 50 million albums worldwide.